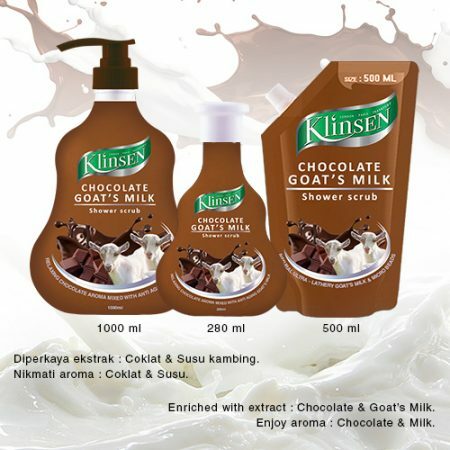 Enriched with extract : Chocolate & Goat’s Milk. Enjoy aroma : Chocolate & Milk. Diperkaya ekstrak : Coklat & Susu kambing. Nikmati aroma : Coklat & Susu.